Narcotics or known as drugs is indeed a powerful magnet that drowns people to a pool of vices. It can create distinctive shortcomings and can kill not only the user, a family, but a better life ahead. The “drug war” that Duterte started is still on the run but on a chill mode. Its been two years since thousands of drug involved personas are apprehended. Some risked their lives by refusing to appeal guilt and undergo rehabilitation and some willingly take the chance to become sober and come out clean. An ex-actor and model, Lito Gruet shared his inspiring life story through social media, Facebook. He started his fairytale-like story with how promising his life was for a “probinsyano” like him. 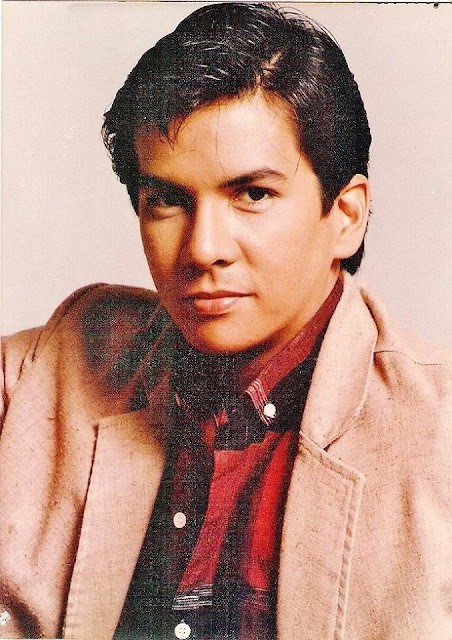 He became an actor, starred on movies “akyat bahay gang,” “Room 69,” and the famous “Shake, Rattle, and Roll.” Gruet walked on different catwalks in different countries. In short, his life in the business industry gave him a chance to work with the elite, in different 5-star hotels, a good life indeed. Until he indulges himself with drugs. Things came spiraling down after drugs came in the picture. 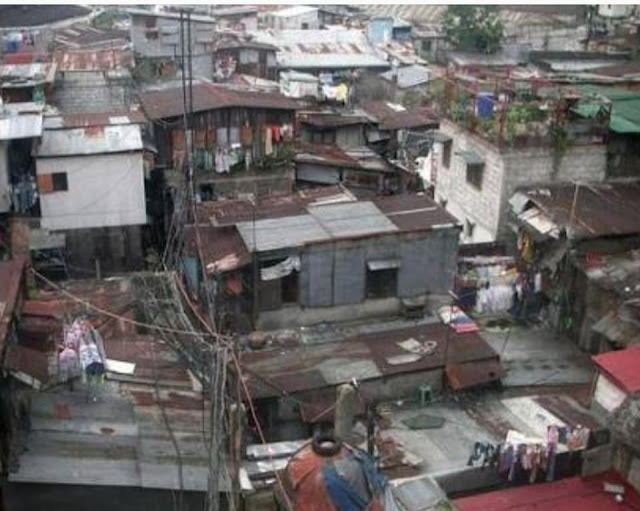 A house with a roof and a comfy bed turned into the slums where he used to stay- sometimes in the parked jeepneys, the dirty rocks of Roxas Boulevard, and beside church buildings, as Lito described. The elite friends and co-workers he used to mingle with became drug users and pushers, bukas kotse gang, pickpockets, holduppers, prostitutes, swindlers- his new set of buddies. He even met some “ninja cops” known as the protector of the criminals. Lito admittedly lived in a drug-infested community where people live independently with drugs. Children were raised and sold as a collateral for drugs and even barangay service workers are literally doing and protecting drug addicts. Even lowered his standard for the sake of free narcotics, he lived with a small-time drug user and put himself to slavery washing the couple’s dirty linen and underwears. And when hunger strikes, he used to shoplift to ease famish. Gruet didn’t stay for a long time being jobless, homeless, broken drug addict. He rises and helps himself up. Now, he’s been 18 years sober and clean. The former actor now works as a Rehab Center Director. Dark days are over for him and claims God’s glory which helped him change the course of his life. His life, respect and dignity all came back to him as an individual. Gruet shared his inspiring story especially to the youth that drugs will and never will be good enough. It will only go straight to one blinding road- and that is destroying one’s life. The post is part of Lito’s mission and advocacy to help people fight drug abuse. A PLACE I USED TO CALL..."HOME"! Once upon a time, this probinsyano broke into the fashion and movie industry. I rubbed elbows with the elite, worked in 5-star hotels, travelled to different countries to model, came out on tv and the big screen. Then DRUGS came into my life and my world spiralled to oblivion! Just like that, everything was gone! And the once unthinkable happened. I began sleeping in parked jeepneys, beside church buildings and along the dirty rocks of Roxas Blvd. The slums became my "home"! There, I have seen how drugs destroyed lives, and entire families. I now "rubbed elbows" literally with assorted criminals, because the drug dens were so cramped. 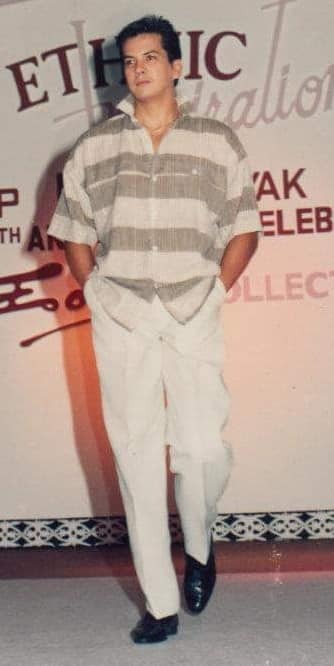 As a "celebrity" back then, I used to meet up with friends at Manila Pen, the Hyatt and many exclusive hotels and clubs. In the slums, I met up with my new "barkadas"... users, pushers, bukas kotse gangs, swindlers, forgers, pickpockets, prostitutes, pimps, snatchers, hold-uppers, human traffickers, pedophiles, carnappers and the usual "ninja cops" who were the "protectors" of many criminals. The entire neighborhood competed in the drug trade, entire family members were independent pushers. Children as young as 5 became drug runners. Children SOLD by their own parents to buy drugs or used as "collateral" for a drug consignment deal. You know.... the "
NORMAL" stuff in a typical drug-infested community where even the Brgy. Captain and tanods were also addicts, pushers and "protectors". I stayed with a small time drug pusher and washed even his and his wife's soiled underwear just to get a free fix. Oh yeah... when I got really, really hungry?... I SHOPLIFTED to be able to eat! 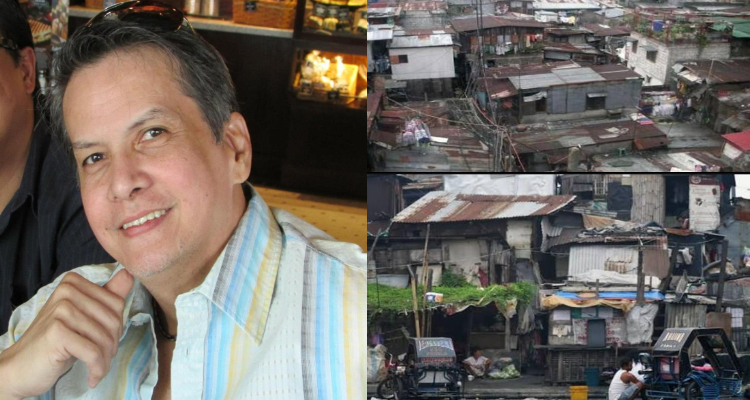 The once "glamorous" Pitoy Moreno model became a law-breaker, a homeless, jobless, broke, free-loading drug addict, a willing kasambahay and "utusan"! Everything didn't turn out bad though... because I gained a wealth of experience to share! To help educate and warn others. This is God's purpose I believe! And HE saved me from this enslavement and gave me back my life, dignity and self-respect after the horrible lesson of life. I became a rehab center director (Dare) for 10 years and have been "clean" for 18 years now. And all the ailments I was suffering from? Borderline diabetis, hypertension, cystitis (bladder infection), gout, unirary tract infection, hepatitis....ALL GONE! And now it is my turn to try to help save lives thru my mission and advocacy to fight drug abuse. Thru social media and giving drug abuse talks. God is AMAZING! Yes... 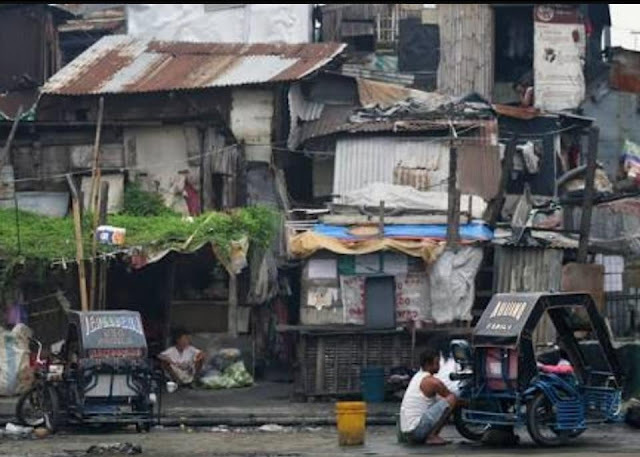 I lived life in the slums. And I know what addiction, real hunger and despair means! *Kindly SHARE to help educate and warn others. Most specially the innocent children.